Construction of Forward Performance Processes in Stochastic Factor Models and an Extension of Widder’s Theorem, with L. Avanesyan & M. Shkolnikov, May 2018, submitted. Oil Prices & Dynamic Games under Stochastic Demand, with I. Brown & J. Funk, October 2017, submitted. Portfolio Benchmarking under Drawdown Constraint and Stochastic Sharpe Ratio, with A. Agarwal, SIAM J. Financial Mathematics, volume 9, 2018, pages 435-464. Optimal Investment with Transaction Costs and Stochastic Volatility Part II: Finite Horizon, with M. Bichuch, August 2015, to appear in SIAM J. Control & Optimization. Supplementary material. Fracking, Renewables & Mean Field Games, with P. Chan, SIAM Review, volume 59(3), 2017, pages 588-615. Optimal Trading with Predictable Return and Stochastic Volatility, with P. Chan, June 2015, revised July 2016, submitted. Portfolio Optimization under Local-Stochastic Volatility: Coefficient Taylor Series Approximations & Implied Sharpe Ratio, with M. Lorig, SIAM J. Financial Mathematics, volume 7, 2016, pages 418-447. Technology Ladders and R&D in Dynamic Cournot Markets, with M. Ludkovski, Journal of Economic Dynamics and Control, 69, August 2016, pages 127-151. Asymptotic Analysis of Forward performance processes in incomplete markets and their ill-posed HJB equations, with M. Shkolnikov & T. Zariphopoulou, SIAM J. Financial Mathematics, volume 7, 2016, pages 588-618. 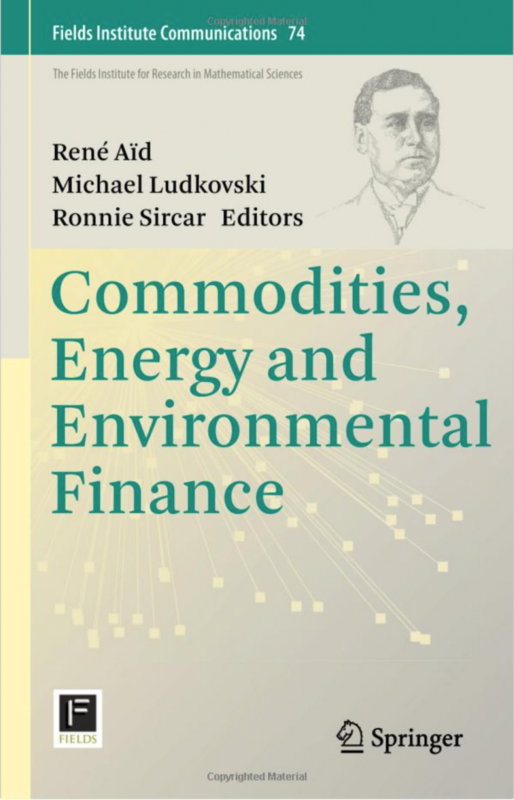 Game Theoretic Models for Energy Production, survey article with M. Ludkovski, February 2015, in Fields Communications Volume : Commodities, Energy and Environmental Finance, (eds. R. Aid, M. Ludkovski, R. Sircar), Springer (2015). Stochastic Volatility: Modeling and Asymptotic Approaches to Option Pricing & Portfolio Selection, survey article with M. Lorig, July 2014, in Fundamentals of Financial Signal Processing, (eds. A. Akansu, S. Kulkarni, D. Malioutov, I. Pollak), Wiley (2015). Financial Mathematics, survey article with R. Carmona, January 2014, in Princeton Companion to Applied Mathematics, (eds. N. Higham, F. Santosa), Princeton University Press (2015). Perturbation Analysis for Investment Portfolios Under Partial Information with Expert Opinions, with J.-P. Fouque & A. Papanicolaou, SIAM J. Control & Optimization, volume 55(3), 2017, pages 1534-1566. A Feedback Model for the Financialization of Commodity Markets, with P. Chan & M. Stein, SIAM J. Financial Mathematics, 6(1), 2015, pages 870–899. American Options under Stochastic Volatility: Control Variates, Maturity Randomization & Multiscale Asymptotics, with A. Agarwal & S. Juneja, Quantitative Finance, 16(1), January 2016, pages 17-30. Variable Costs in Dynamic Cournot Energy Markets, with A. Dasarathy, May 2014, in Fields Communications Volume : Commodities, Energy and Environmental Finance, (eds. R. Aid, M. Ludkovski, R. Sircar), Springer (2015). Time-Inconsistent Portfolio Investment Problems, with Y. Dong, April 2014, in Stochastic Analysis and Applications 2014, (eds. D. Crisan, B. Hambly and T. Zariphopoulou), Springer. Bertrand & Cournot Mean Field Games, with P. Chan, Applied Mathematics & Optimization, volume 71, pages 533-569, 2015. Optimal Investment with Transaction Costs and Stochastic Volatility Part I: Infinite Horizon, with M. Bichuch, SIAM J. Control & Optimization, volume 55(6), pages 3799-3832, 2017. First version January 2014 (formerly titled “Optimal Investment with Transaction Costs and Stochastic Volatility”). Analysis of Systematic Risks in Multi-Name Credit and Equity Markets, with E. Choi, August 2013, submitted. Filtering and Portfolio Optimization with Stochastic Unobserved Drift in Asset Returns, with J.-P. Fouque & A. Papanicolaou, Communications in Mathematical Sciences, 13(4), pages 935-953, 2015. Portfolio Optimization & Stochastic Volatility Asymptotics, with J.-P. Fouque & T. Zariphopoulou, Mathematical Finance, 27(3), pages 704-745, 2017. First version March 2013. Implied Volatility of Leveraged ETF Options, with T. Leung, Applied Mathematical Finance, 22(2), March 2015, pages 162-188. A Regime-Switching Heston Model for VIX and S&P 500 Implied Volatilities, with A. Papanicolaou, Quantitative Finance, Volume 14, Issue 10, (2014) pages 1811-1827 (published online July 2013). Second Order Multiscale Stochastic Volatility Asymptotics: Stochastic Terminal Layer Analysis & Calibration, with J.-P. Fouque & M. Lorig, August 2012, Finance & Stochastics, 20(3), (2016), pages 543-588. A Model for Hedging Load and Price Risk in the Texas Electricity Market, with M. Coulon & W. Powell, Energy Economics, 40, pages 976–988, November 2013. From Smile Asymptotics to Market Risk Measures, with S. Sturm, July 2011, in Mathematical Finance, 25(2), pages 400-425, April 2015. Dynamic Bertrand and Cournot Competition: Asymptotic and Computational Analysis of Product Differentiation, with A. Ledvina, Risk and Decision Analysis 3(3), 2012, pages 149-165. Exploration and Exhaustibility in Dynamic Cournot Games, with M. Ludkovski, European Journal on Applied Mathematics, 23(3), 2012, pages 343-372. Dynamic Bertrand Oligopoly, with A. Ledvina, Applied Mathematics and Optimization 63(1), 2011, pages 11-44. Forward Indifference Valuation of American Options, with T. Leung & T. Zariphopoulou, Stochastics 84(5-6), 2012, pages 741-770. Games with Exhaustible Resources, with C. Harris & S. Howison, SIAM J. Applied Mathematics 70(7), 2010, pages 2556-2581. A Framework for Dynamic Hedging under Convex Risk Measures, with A. Toussaint, November 2008. Appears in Proceedings of 2008 Ascona Seminar on Stochastic Analysis, Random Fields and Applications (eds. R. Dalang, M. Dozzi, F. Russo), Birkhauser, 2011. Multiname and Multiscale Default Modeling, with J.-P. Fouque & K. Solna, SIAM J. Multiscale Modeling and Simulation 7(4), 2009, pages 1956-1978. Option pricing under stochastic volatility: the exponential Ornstein-Uhlenbeck model, with J. Perello & J. Masoliver, Journal of Statistical Mechanics (2008), P06010. Optimal Static-Dynamic Hedges for Exotic Options under Convex Risk Measures, with A. Ilhan & M. Jonsson, Stochastic Processes & Applications 119(10), 2009, pages 3608-3632. Exponential Hedging with Optimal Stopping and Application to ESO Valuation, with T. Leung, SIAM J. Control & Optimization 48(3), 2009, pages 1422-1451.
Credit Derivatives and Risk Aversion, with T. Leung & T. Zariphopoulou, in Advances in Econometrics (eds. T. Fomby, J.-P. Fouque and K. Solna), 2008, Elsevier Science. Multiscale Intensity Models and Name Grouping for Valuation of Multi-name Credit Derivatives, with E. Papageorgiou, Applied Mathematical Finance 16(4), 2009, pages 353-383. Accounting for Risk Aversion, Vesting, Job Termination Risk and Multiple Exercises in Valuation of Employee Stock Options, with T. Leung, Mathematical Finance 19(1), 2009, pages 99-128. Multiscale Intensity Models for Single Name Credit Derivatives, with E. Papageorgiou, Applied Mathematical Finance 15(1), 2008, pages 73-105. Queueing Theoretic Approaches to Financial Price Fluctuations, with E. Bayraktar & U. Horst, in Handbook of Financial Engineering (ed. J. Birge and V. Linetsky), Volume 15 of Handbooks in Operations Research and Management Science, North Holland, 2007, pages 637-677. 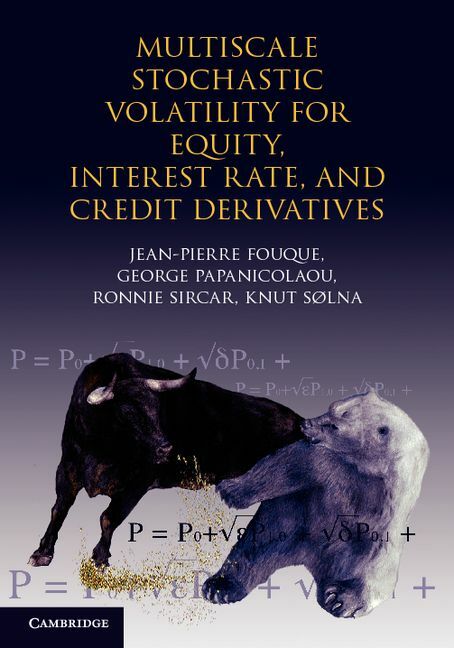 Stochastic Volatility Effects on Defaultable Bonds, with J.-P. Fouque & K. Solna, Applied Mathematical Finance 13(3), 2006, pages 215-244. Optimal Investment with Derivative Securities, with A. Ilhan & M. Jonsson, Finance & Stochastics 9(4), 2005, pages 585-595. Optimal Static-Dynamic Hedges for Barrier Options, with A. Ilhan & M. Jonsson, Mathematical Finance 16(2), 2006, pages 359-385. Multiscale Stochastic Volatility Asymptotics, with J.-P. Fouque, G. Papanicolaou & K. Solna, SIAM J. Multiscale Modeling and Simulation 2(1), 2003, pages 22-42. A Limit Theorem for Financial Markets with Inert Investors, with E. Bayraktar & U. Horst, Mathematics of Operations Research, 31(4), 2006, pages 789-810. Singular Perturbations for Boundary Value Problems arising from Exotic Options, with A. Ilhan & M. Jonsson, SIAM J. Applied Math. 64(4), 2004, pages 1268-1293. Maturity Cycles in Implied Volatility, with J.-P. Fouque, G. Papanicolaou & K. Solna, Finance & Stochastics 8(4), 2004, pages 451-477. Estimating the Fractal Dimension of the S&P 500 Index using Wavelet Analysis, with E. Bayraktar & V. Poor, International Journal of Theoretical & Applied Finance, 7(5), 2004, pages 615-643. Bounds & Asymptotic Approximations for Utility Prices when Volatility is Random, with T. Zariphopoulou, SIAM J. Control & Optimization, 43(4), 2005, pages 1328-1353. Singular Perturbations in Option Pricing, with J.-P. Fouque, G. Papanicolaou & K. Solna, SIAM J. Applied Math 63(5), 2003, pages1648-1665. Trend-Following Hedge Funds and Multi-Period Asset Allocation, with D. Darius, A. Ilhan, J. Mulvey & K. Simsek, Quantitative Finance 2(5), October 2002, pages 354-61. Optimal Investment Problems and Volatility Homogenization Approximations, with M. Jonsson, in “Modern Methods in Scientific Computing and Applications“, A. Bourlioux, M. Gander & G. Sabidussi (eds. ), NATO Science Series II, vol. 75, pages 255-281, Kluwer. August 2002. Stochastic Volatility and the Epsilon Martingale Decomposition, with J.-P. Fouque & G. Papanicolaou, Trends in Mathematics, Kohlmann, M., Tang, S., (Eds. ), pages 152-9, Birkhauser Verlag, October 2000. Partial Hedging in a Stochastic Volatility Environment, with M. Jonsson, Mathematical Finance 12(4), October 2002, pages 375-409. Stochastic Volatility Corrections for Interest Rate Derivatives, with P. Cotton, J.-P. Fouque & G. Papanicolaou, Mathematical Finance 14(2), April 2004, pages 173-200. From the Implied Volatility Skew to a Robust Correction to Black-Scholes American Option Prices, with J.-P. Fouque & G. Papanicolaou, International Journal of Theoretical & Applied Finance, vol 4, No. 4 (2001), pages 651-75. Stochastic Volatility Correction to Black-Scholes, with J.-P. Fouque & G. Papanicolaou, RISK 13(2), February 2000, pages 89-92. Hedging under Stochastic Volatility, Quantitative Analysis in Financial Markets, Vol. 2 (M. Avellaneda, ed. ), World Scientific, February 2000. Financial Modeling in a Fast Mean-Reverting Stochastic Volatility Environment, with J.-P. Fouque & G. Papanicolaou, Asia-Pacific Financial Markets 6(1), 1999, pages 37-48. Mean-Reverting Stochastic Volatility, with J.-P. Fouque & G. Papanicolaou, International Journal of Theoretical & Applied Finance, Vol. 3, No. 1 (2000), pages 101-142. Asymptotics of a Two-Scale Stochastic Volatility Model, with J.-P. Fouque & G. Papanicolaou, in “Equations aux derivees partielles et applications” in honour of Jacques-Louis Lions, Gauthier-Villars, May 1998, pages 517-26. Stochastic Volatility, Smile & Asymptotics, with G. Papanicolaou, Applied Mathematical Finance 6(2), June 1999, pages 107-145. General Black-Scholes models accounting for increased market volatility from hedging strategies, with G. Papanicolaou, Applied Mathematical Finance 5(1), 1998, pages 45-82.